for $184,900 with 2 bedrooms and 2 full baths. This 832 square foot condo was built in 1972 on a lot size of 0.00 x 0.00. 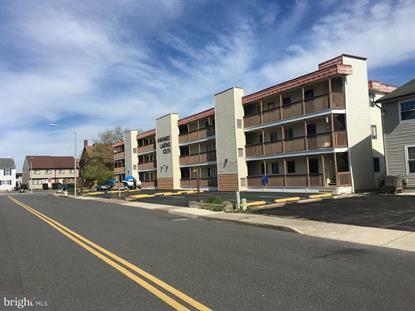 GREAT OPPORTUNITY TO OWN A PIECE OF PARADISE IN NORTH OCEAN CITY. This private 3rd floor end unit waterfront condo offers 2 bedrooms, 2 full baths and large living area, sliding doors from living rooms and master bedroom lead out to a huge balcony with spectacular views. Close to everything yet far enough back to relax and enjoy some peace and quiet. Original owners have enjoyed this fantastic family retreat for 45 years. Well cared for and clean this unit has never been rented and awaits your personal touch. Heat pump and central A/C unit recently replaced. You can't get all this anywhere in Ocean City for under $200, 000. Other amenities include: Large swimming pool, Large picnic area, Assigned off street parking, Waterfront Dock, Boat slips / finger piers. Set up your appointment and make your dreams come true.